This is for students only and you must give us the name of your school and your instructor for the discount to be valid, enter this on the registration form. This is for 3 days conference for non-members, if you haven't paid your membership and would like to do so, go to join us and update your membership. The OEMTA Medic Update EMS Conference is one of Oklahoma's largest educational interchanges. Public Safety professionals from across the state will gather to attain cutting-edge information. The delivery of this information will include didactic and hands-on instruction. Early Registration will end July 20, 2015. Thursday and Friday will be regular class schedule. Mike Grill, MS, NREMT-P; is the EMS Regional Program Director for Centura Health’s South Denver EMS Team in the South Denver Metro area. He has been active in Fire/EMS since 1985 and has authored numerous articles for EMS and Fire trade journals and co-authored two textbooks: Fire Service First Responder and First Responder Resiliency. Mike has spoken at over 200 conferences nationwide. Dr. Bledsoe is active in emergency medicine and EMS research. He is a popular speaker at state, national, and international seminars and writes regularly for numerous EMS journals. Dr. Bledsoe also serves as medical director for MedicWest ambulance in Las Vegas and the annual Burning Man event in northern Nevada. Dr. Bledsoe is the author of numerous EMS textbooks and has in excess of 1 million books in print. Dr. Bledsoe was named a “Hero of Emergency Medicine” in 2008 by the American College of Emergency Physicians as a part of their 40th Anniversary celebration and was named a “Hero of Health and Fitness” by Men’s Health magazine as part of their 20th anniversary edition in November of 2008. In 2014 he received the"John P. Pryor Award" for exemplary service to emergency medical services. He is frequently interviewed in the national media. 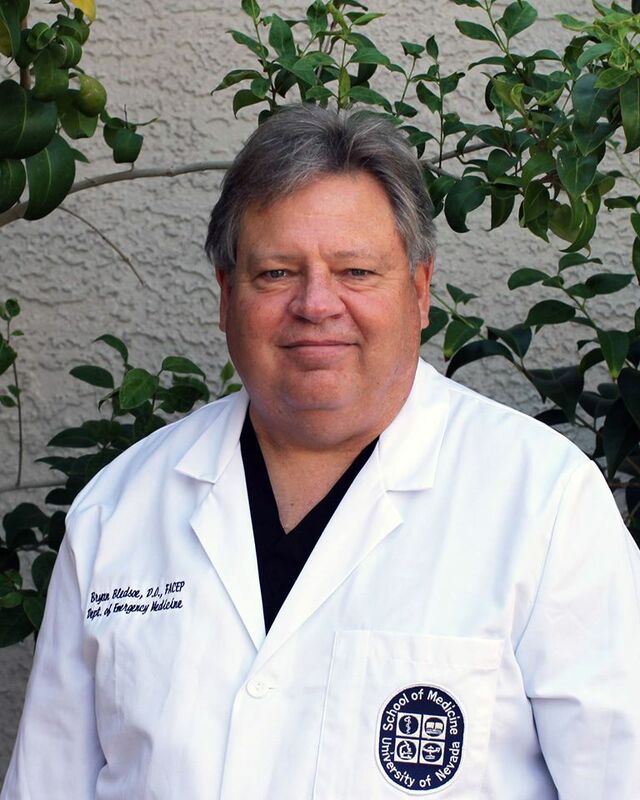 Dr, Bledsoe is married and divides his time between his residences in Midlothian, TX and Las Vegas, NV.